Deluxe Triple Gatefold Edition featuring unique black-glitter coated cover artwork. Two 180-gram heavyweight vinyl records, containing Heligoland’s 10 tracks, crafted on the EMI 1400. Exclusive bonus 180-gram heavyweight 12″ vinyl, containing four additional tracks and remixes. 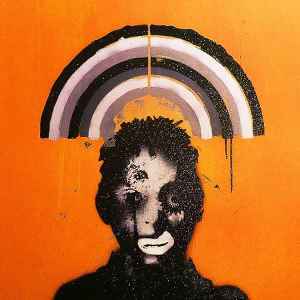 Exclusive 28-page booklet, featuring Robert Del Naja artwork and Massive Attack tour photography. CD, containing full album, housed in a plain orange vellum slipcase. Stickydisc Recordings, Brooklyn and UML / Amber, NYC. Mixed at Mixsuite, UK, Chalice Studios, Los Angeles and 100 Suns, Bristol. ℗ & © 2010 Virgin Records Ltd. In memory of Johnny Dollar.